On November 21st, 2017, NASA iTech selected 25 of the most promising ideas submitted by innovators across the U.S. as semifinalists in Cycle 3. BioVirtua was one of three healthcare companies chosen in Cycle 3 of NASA iTech. NASA’s iTech is an initiative by NASA’s Space Technology Mission Directorate (STMD) to find innovative ideas that address important problems here on Earth and also hold great potential to overcome critical technology hurdles in future space exploration. 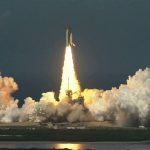 Those ideas may come from small or large businesses, academia, and other government organizations that may not have previously had a forum to present their solutions to NASA leadership or their industry partners. In September, NASA iTech issued a call for solutions within focus areas including Artificial Intelligence, Augmented Reality Advancement, Autonomy, High Performance Computing and Medical Breakthrough. The popular NASA iTech Cycle 2 category, X-Factor Innovations, also returned in Cycle 3 to allow for trailblazing ideas or technologies that may not align precisely with another specific focus area, but could still make a significant impact on future exploration efforts. BioVirtua is creating the new standard for quantifying human movement. The BioVirtua platform enables 4D patient data which drives quality outcomes for orthopedic & neurological rehabilitation as well as remote, telehealth encounters. BioVirtua was one of three healthcare company chosen by the Space Technology Mission Directorate (STMD) due to the technology’s implications for space exploration, the aerospace industry, and astronaut training on Earth. BioVirtua’s technology is the world’s first solution for remotely assessing and quantifying movement in real-time.